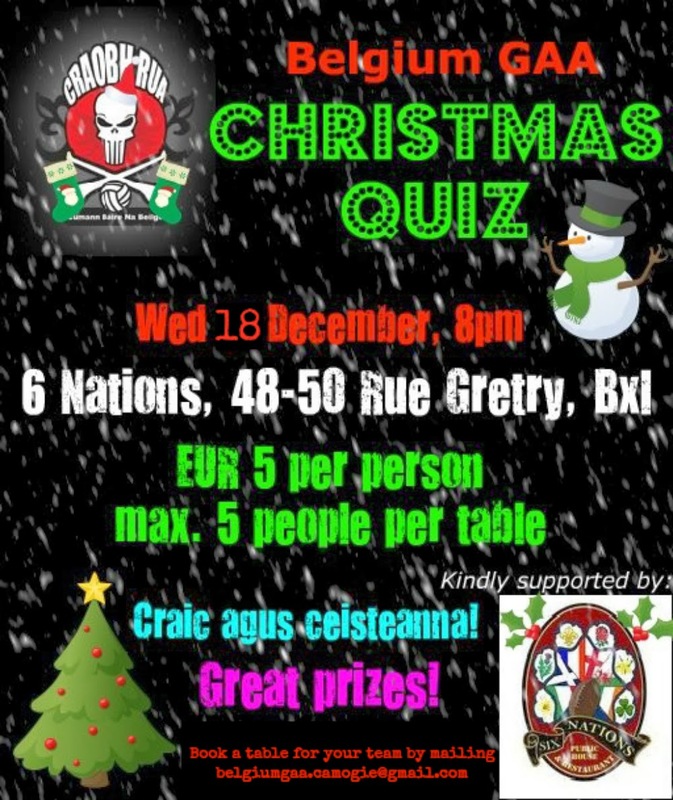 The European Camogie and Hurling Champions Belgium GAA would like to invite you to our Christmas Table Quiz Fundraiser! It will be a great night with own quizmaster extraordinaire and prizes on the night! It’s just 5 euro per person with a maximum of 5 people per team. So please invite all friends, family, co-workers and quiz lovers to the 6 Nations Bar (48-50 Rue Gretry) on Wednesday the 18th of December at 8pm.